Self-care is one of the best habits you can practice for your health. Exercising, improving your diet, and expanding your worldview all have their benefits, but it can be difficult to follow through these resolutions when you don’t have a specific goal in mind. Losing ten pounds, reading for an hour a day, replacing sugary snacks with fruit, these habits are all very specific and make them easier to accomplish. If you’re looking to improve your oral health, a good start would be to schedule your next dental visit with your dentist in Houston. You may think at-home care is enough, but your dentist offers something you’ll never get at home: a professional cleaning and early disease protection. The American Dental Association recommends you visit your dentist every 6 months, so starting at the beginning of the year is the best time to start. During your cleaning, your dentist uses professional-grade tools and toothpastes to provide the most thorough cleaning possible. Additionally, they’re able to reach the areas of the mouth often missed during at-home treatment. These areas are more likely to contain hardened plaque known as tartar. Once this material forms, only a dental professional has the ability to remove it. This helps reduce your chances of more severe forms of gum disease. Another significant benefit to regular dental visits is it’s easier to catch early signs of dental disease. Typically, dental disease doesn’t show signs very clearly. For example, gingivitis is only noticeable when you go to floss and your gums bleed easily. By the time you start to experience more noticeable or painful symptoms, there’s a good chance it’s already too late. Your dentist can catch early signs of tooth decay and gum disease before it turns into cavities or periodontitis. If you’re looking for a concrete habit to keep in between visits, make one of them flossing at least once a day. After brushing for at least two minutes, take a long strand of waxed dental floss to slide in between your teeth as best you can. Make flossing part of your bedtime routine as this is the best way to reduce tooth decay while you sleep. You’ll also want to cut back on habits during the day such as smoking and eating sugary foods. Smoking dramatically increases your risk of gum disease, yellows your teeth, and causes severe bad breath. Sugar consumption contributes to tooth decay because it feeds bacteria in your mouth. If you have trouble quitting these habits, ask your friends or family to hold you accountable. Let them know ahead of time that you won’t be annoyed when they remind you. Oral care is a great resolution to make this year. 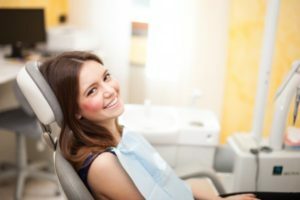 Commit to it by scheduling an appointment with your dentist in Houston today! Dr. Donald F. Tamborello earned his undergraduate degree from Texas A&M University and his dental degree from the University of Texas. As a Master of the Academy of General Dentistry, he holds the highest honor the organization offers. To learn more about his practice, contact him at (713) 522-7540 or visit his website.